Can you believe it has been 15 years already? 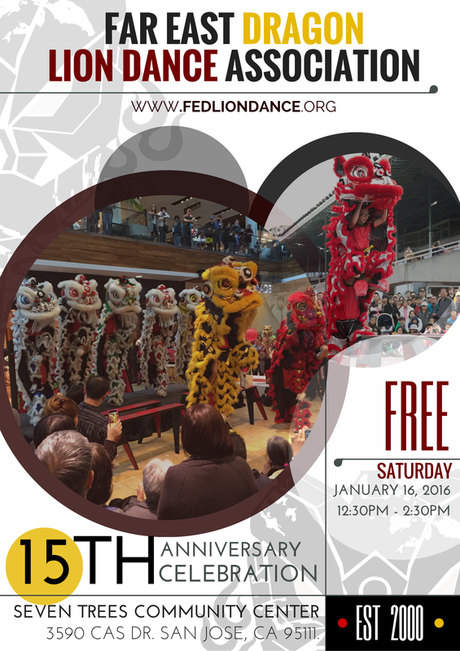 The Far East Dragon Lion Dance Association is celebrating 15 years with a special and FREE exhibition for our friends, families, supporters, and the community. Our members will be putting together a special performance set for everyone to enjoy. In past years, we've done dinner banquets, but this time around, we are keeping things simple and giving our community a show. Team-M Taekwondo will also be doing a special martial arts demonstration.